As part of DBS’ continued efforts to champion the development of the social entrepreneurship sector to build a socially-conscious society, social enterprises such MINDS, Society Staples and Bettr Barista will provide many of the services in the regatta such as drinking water, catering and event organisation. They will also feature as vendors in the regatta’s art market and food village. Organised in partnership with the Singapore Dragon Boat Association (SDBA), this year’s international dragon boat competition will see an estimated 90 teams and more than 3,000 athletes gathering on the waters of Marina Bay to compete for cash prizes totalling SGD134,000 – the highest for the sport in Asia. Eventgoers will also get to try out sailing in the Bay during the regatta with DBS’ 18-metre tall Swedish Match 40 sailboats – the first of its kind in Asia. The sailboats were debuted in 2015 as part of the DBS Marina Bay Sailing Programme, which has been offering the public complimentary sailing sessions in the Bay since 2013. 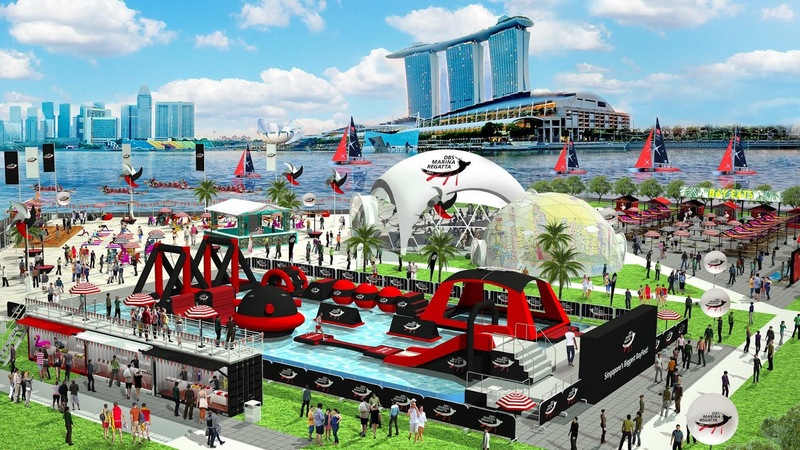 This year also sees the regatta partnering up with electronic music festival behemoth Ultra, urban fitness brand lululemon, Bali’s famed beach club Potato Head and F&B curators The Local People. 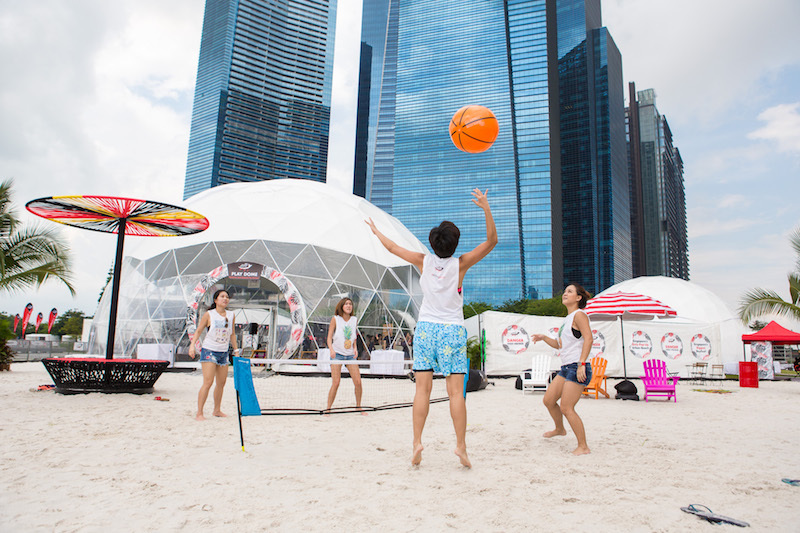 This year, the Bay will once again be transformed into Singapore’s one and only pop-up urban beach, which will double in size from last year. Bali beach club Potato Head will be bringing in their legendary Coconut Bar here for the first time, complete with their signature uber fresh coconut cocktails and beers. 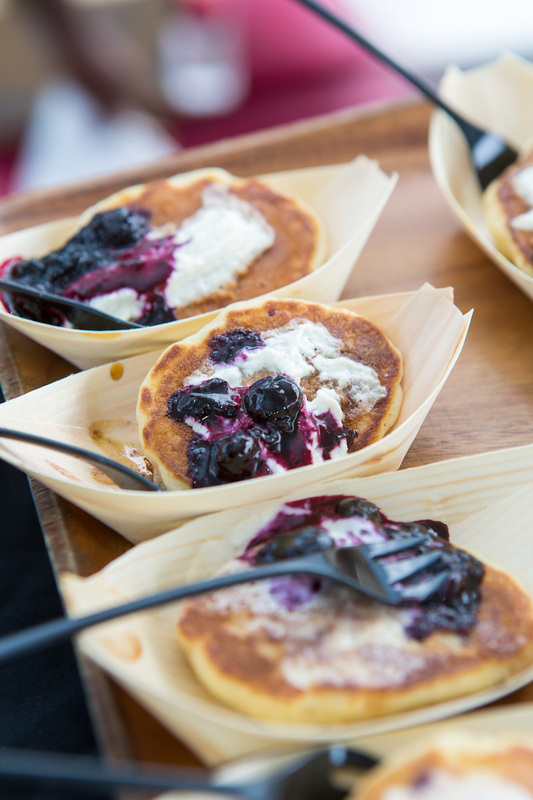 For foodies, the regatta’s food village Bay Eats, will be curated by The Local People and feature food stalls from award-winning and the top new eateries in town such as the “Neo-Sin” restaurant Labyrinth, French eatery Garçons, The BellJar, Leng Leng ice cream and more. 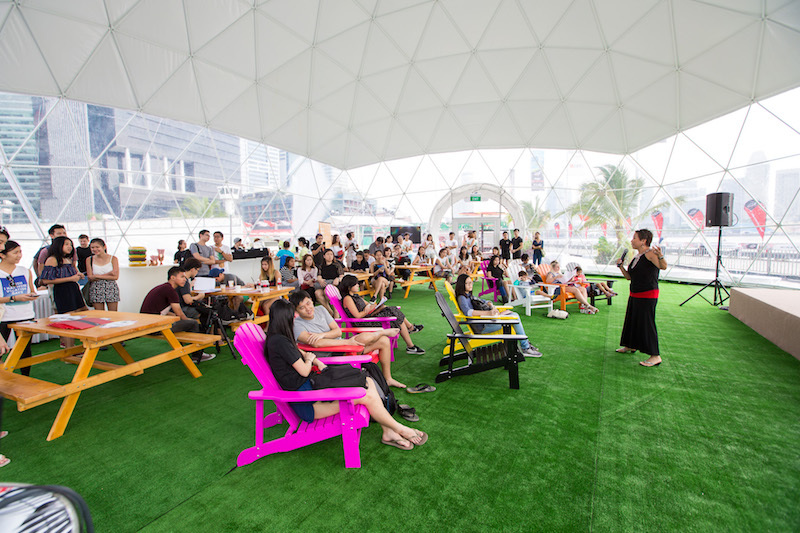 The nine-metre-tall Play Dome will host many of the fitness classes launched by lululemon during the day. At night, the DBSMR X Ultra Countdown Party will take place exclusively at the regatta from 7pm to 10pm, on Friday and Saturday evening (2 & 3 June). The pre-parties will feature three Ultra Music Festival deejays every night, such as Dubvision, Crossnaders, Raiden, Jade Rasif, Moe and Myrne. 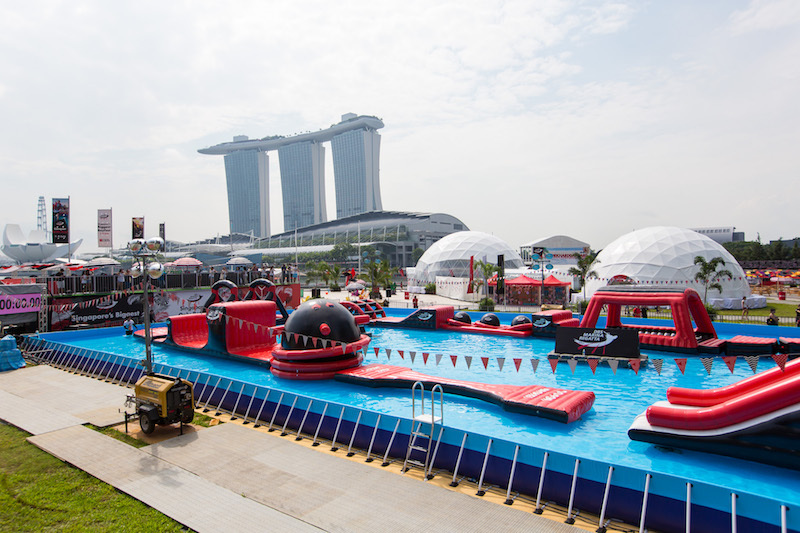 Since 2012, as part of the bank’s continuing efforts to bring the Bay to the people, and the people to the Bay, DBS/POSB initiatives such as the DBS Marina Regatta, DBS Marina Bay Sailing Programme, POSB PAssion Run for Kids, and its other complimentary cycling and yoga activities have attracted more than 80,000 to the Bay – transforming Marina Bay into a bustling hub of activity. All photos courtesy of DBS Bank.